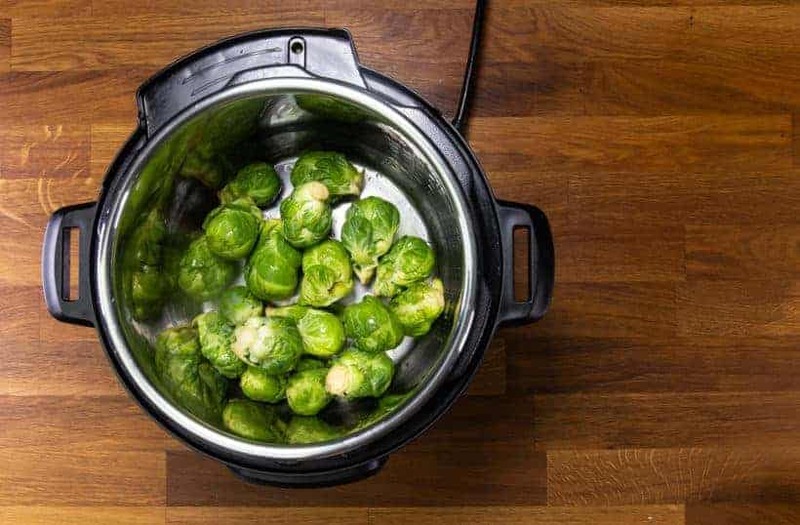 Cook this nutrient-dense superfood Instant Pot Brussels Sprouts! Perfectly cooked Brussels sprouts make a super quick & easy healthy Instant Pot Side Dish. 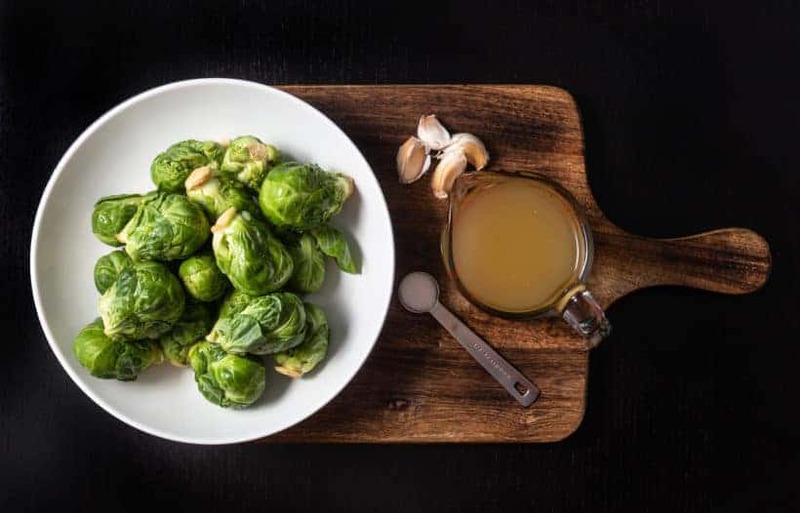 Superfood Brussels sprouts is a nutrient-dense leafy green vegetable. 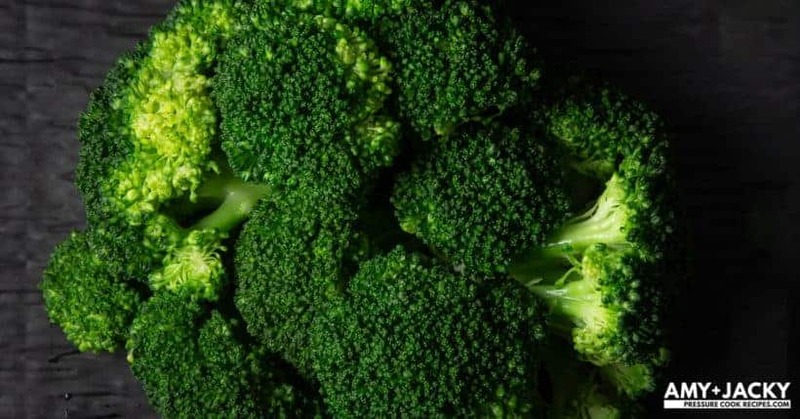 It has high levels of vitamin C & vitamin K, rich in antioxidants, and a good source of dietary fiber & protein. The best reasons to love them is they have rich nutrients, but few calories; they fill you up, but won’t fill you out. Did you know? These adorable mini cabbages have long been popular in Brussels, Belgium. This might be why it was named after the city of Brussels! Just be careful not to overcook them because they’ll turn mushy & smelly. 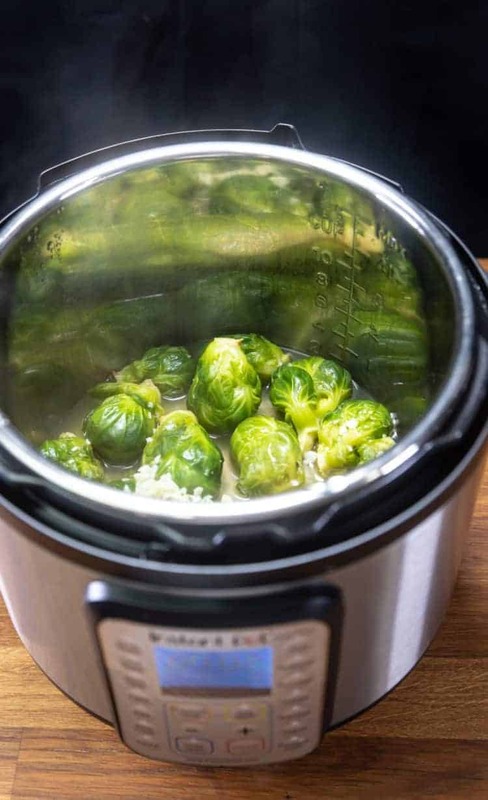 Nutrient-dense superfood Instant Pot Brussels Sprouts! Perfectly cooked Brussels sprouts make a super quick & easy healthy Instant Pot Side Dish. 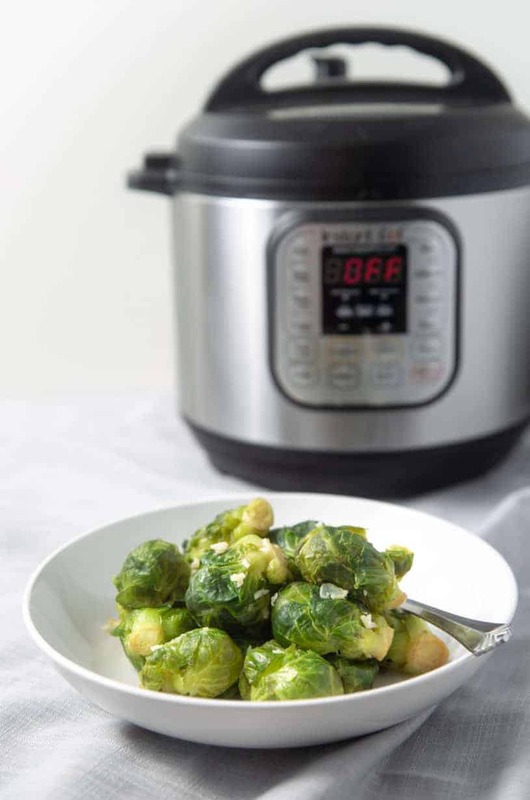 Pressure Cook Brussels Sprouts: Place 1 lb (454g) rinsed Brussels sprouts in Instant Pot. Sprinkle ½ tsp (2.5g) kosher salt, minced garlic cloves on Brussel sprouts. Pour in 1 cup (250ml) unsalted chicken stock. Pressure Cook at High Pressure for 2 minutes (Texture: mildly crisp) - 3 minutes (Texture: tender), then Quick Release. 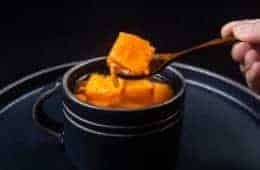 Adjust Cooking Time: If you're cooking a larger quantity, be sure to decrease the "Pressure Cooking Time" accordingly to compensate for the longer "Pressurizing" time. 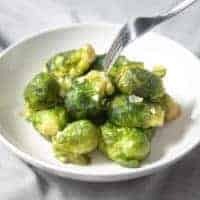 We are making a super quick & easy Brussels Sprouts Instant Pot Side Dish. Here are the ingredients for Instant Pot Brussels Sprouts. 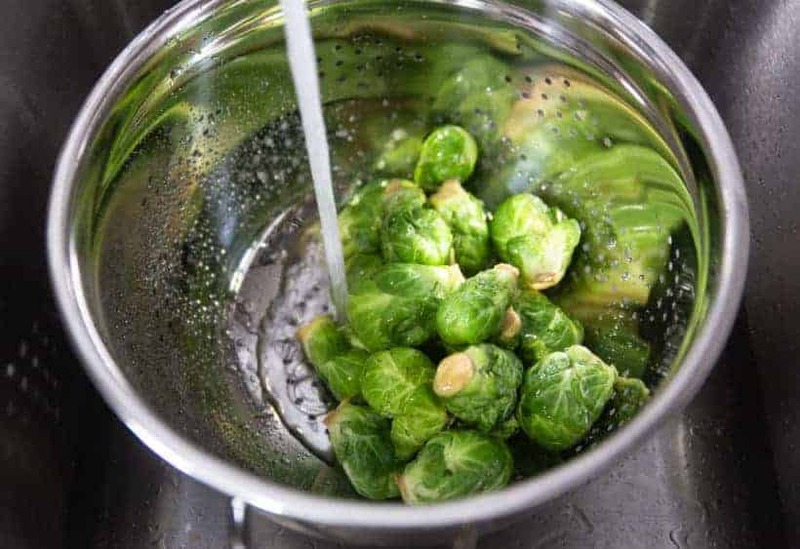 Rinse & clean the brussels sprouts under cold water. Place 1 lb (454g) rinsed brussels sprouts in Instant Pot Pressure Cooker. 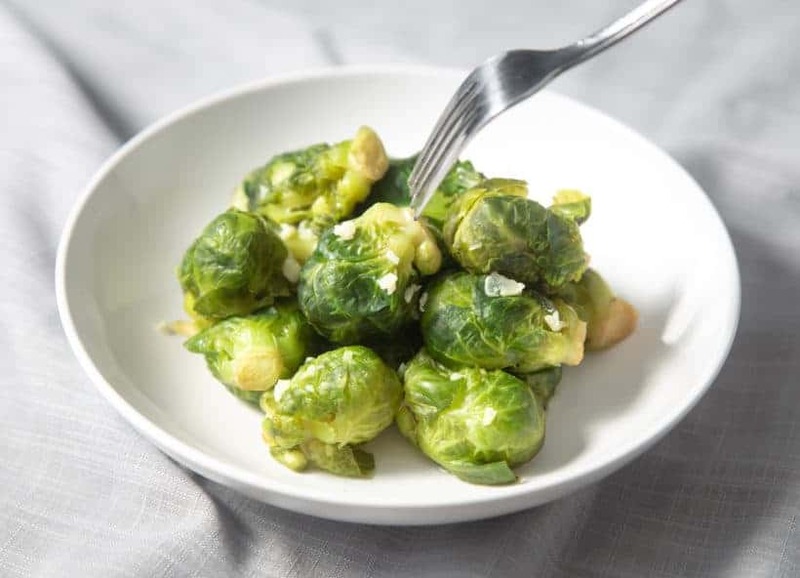 Sprinkle ½ tsp (2.5g) kosher salt, minced garlic cloves on brussels sprouts. Pour 1 cup (250ml) unsalted chicken stock in Instant Pot. 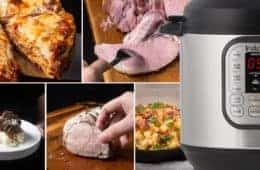 Pressure Cooking Method: Pressure Cook at High Pressure for 2 minutes (Texture: mildly crisp) – 3 minutes (Texture: tender), then Quick Release. 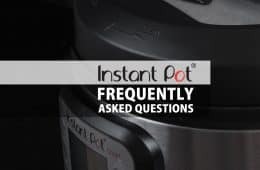 *Pro Tip – Adjust Pressure Cooking Time: If you’re cooking a larger quantity, be sure to decrease the “Pressure Cooking Time” accordingly to compensate for the longer “Pressurizing” time. 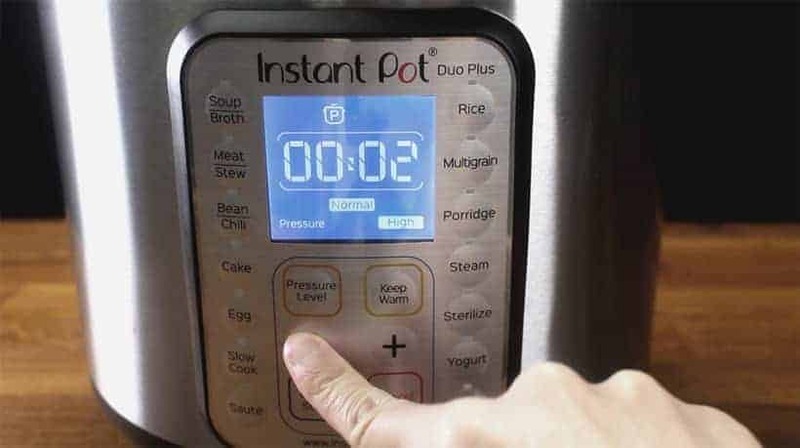 Once the pressure cooking cycle is finished, carefully turn the Venting Knob to Venting position to release the pressure. Open the lid once the Floating Valve has dropped. Taste & season brussels sprouts with more salt + black pepper if desired. 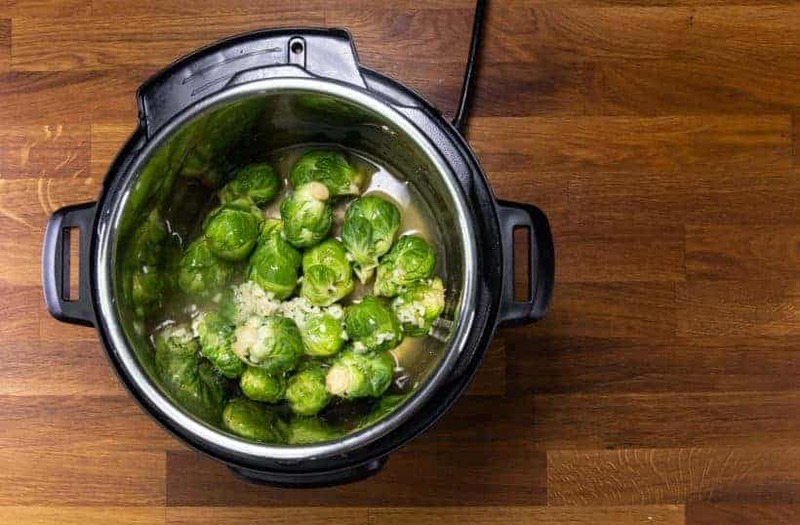 Serve Instant Pot Brussels Sprouts with your favorite main dish. Turned out excellent thanks for the recipe! They came out perfect for the third time in a row. Thank you. 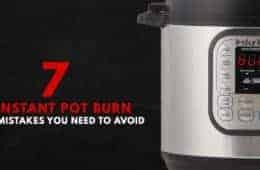 Glad you enjoyed the brussels sprouts in Instant Pot. Is there any difference in water/time proportion when doing this in the mini (3-quart) IP? Working on trying to transition some of these wonderful recipes to the smaller IP. Thank you! Thank you for your question. 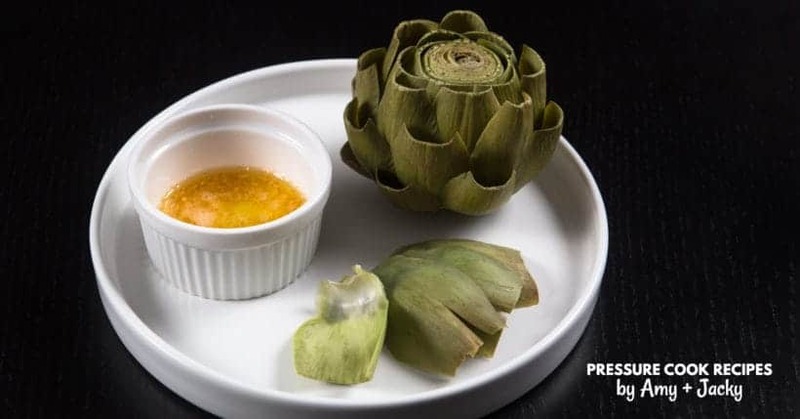 This recipe should work the same in the smaller IP. You may need an extra minute longer. Thank you!!! I went ahead and gave it a shot following the directions as above … I think I went a minute too long (or had a bit too much liquid) for my personal texture preference, but they were fantastic and so easy. And thank you for the incredibly quick response! I did these, yesterday. They were amazing. I steamed them over water and seasoned them, afterwards. There is a local reataurant that serves brussel sprouts and these were just as good. I used “fresh” brussel sprouts and ser the IP to 3 min. After doing a quick release, I checked them and decided that I wanted them a little softer, but not mushy. I quickly closed the lid and aet them a few minutes longer. They were perfection! I love that you can always add or take away time to suit your own preference. 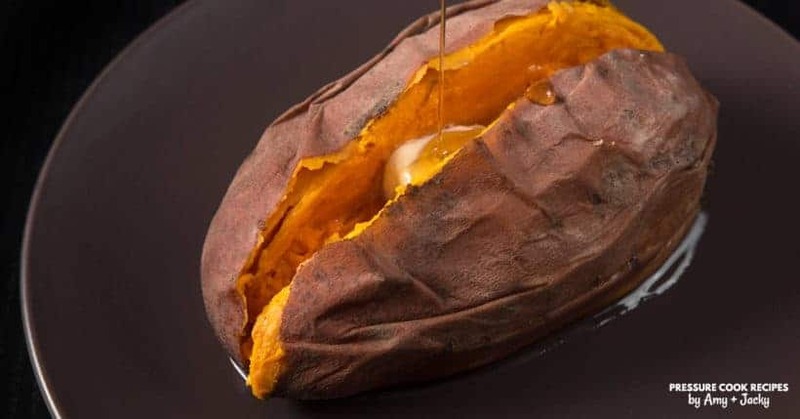 The ones that are touching the liquid will cook faster no matter what. 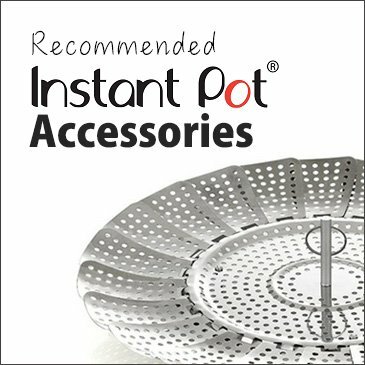 I recommend changing the cooking time to 3 minutes or use a trivet for a more even consistency. So easy and so delicious! I cooked for 2 minutes because we like brussel sprouts to be firm – they were perfect! 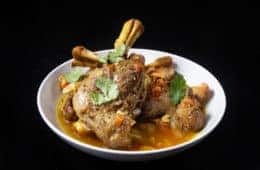 Thank you for this easy recipe! This is Great, Quick, and easy! You will Enjoy! 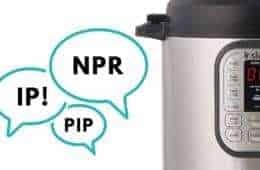 Did you just put the brussel sprouts in the bottom of the instant pot or were they put in a steamer basket? We put it in the bottom of the Instant Pot so the chicken stock can be infused into the brussels sprouts. I used frozen Brussel sprouts and a 3 minute cook. They were delicious and very tender. I will try 2 minutes next time and see how they compare. Happy to hear the result with frozen Brussels Sprouts! this came in handy for our Canadian thanksgiving brunch — very flavourful and delicious! even our guests who are normally picky took the leftovers home. after having cooked HP for 2.5 mins, it turned out a bit mushier than i’d prefer, so i tossed it with some oil and broiled it for a few minutes to make it a bit more charred for texture. will know to QR immediately at 2 mins next time for a less softer dish. thanks for the recipe! Would frozen Brussel sprouts be okay for this recipe? Would there be adjustments? I haven’t tried using frozen Brussel Sprouts, but 3 minutes should work fine.